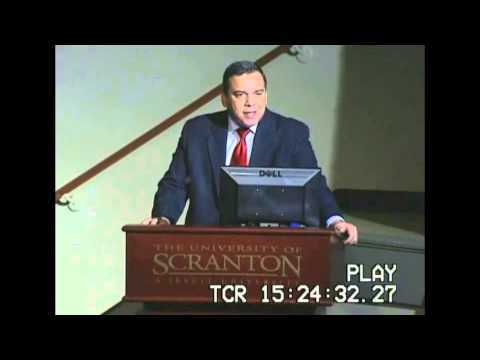 This clip is an excerpt from a lecture delivered by Pedro L. Anés, Ph.D.(c), President of Inpact Learning LLC and President of the Latino American Alliance, at The University of Scranton's Diversity Conference during Hispanic Heritage Month. The audience consisted of students, teachers, administrators, law enforcement officials and community leaders. Pedro L. Anés, Ph.D. (c), President of LAANEPA (The Latino American Alliance of Northeast Pennsylvania), is interviewed by Attorney Todd J. O'Malley from The Law Firm of O'Malley & Langan about the heritage and benefits of the influx of Latino residents in Northeast Pennsylvania. This is the first of four videos that cover this interview. To access and view the others, kindly search YouTube for Pedro Anés.